The Price is Right Game Review - Download and Play Free Version! YOU get to compete in the mega-hit TV game show The Price is Right! Actual video clips and items from the television game show. Contains 16 actual Price is Right games. Graphics and sound effects are almost identical to the game show. Party Mode allows you to compete with up to 4 friends. Challenge Mode allows you to play individual pricing games without competing in the full game. You gain strikes on the big wheel challenge which is solely luck based. Are you a better contestant than the ones on TV? Come on down to play The Price Is Right game! You get to compete in all the great challenges found in the TV show! First come on down to Contestant's Row where you will be bidding on different products. Get the closest bid without going over and you are on to one of the great games. Step on the stage with Bob Barker and play one of 16 classic Price is Right games including Plinko, the Range Game, Cliffhanger, Hole in One, Freeze Frame and more. You will then spin the Big Wheel and see if you can get the closest to $1.00. Do this and you are on to the Showcase Showdown where you get to bid for the best prizes of all! 16 of the most popular pricing games, plus Contestant's Row, Big Wheel & Showcase. Think you can be the best bidder? Go ahead and give the free trial a shot and live out your desire to be on one of the greatest game shows ever created! “Come on down, you're the next contestant on the Price is Right!” If this phrase gives you chills of nostalgia or sparks your curiosities, then you should give this computer version of Price is Right a try. As a contestant on the show you try your luck at guessing prices, while competing for money, cars, and other items in 16 actual Price is Right games. The graphics and sound effects of the game mirror the famous game show, and the playability is smooth and easy to pick up. This game will provide you hours and hours of fun and is a must play, especially for fans of the game show. The format of this game is nearly identical to the televised show. 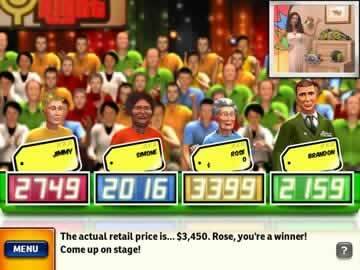 You begin the game by selecting a character and guessing a price for a small to medium sized prize. The initial prizes can be anything from a pool table to a shed to jewelry. Four contestants guess a price and the person with the closest bid to the actual retail price without going over wins the prize and gets to compete in one of the pricing games. If you are not the lucky winning contestant you still get to advance and play one of the games, however, you earn a strike, bringing you one step closer to losing. The pricing games are a lot of fun and make the game much more realistic and enjoyable. There are 16 game options, ranging from the ever-famous Plinko to Cliff Hanger. Each game has you guessing prices to earn money. In Plinko for example, you guess the price of four items. Correct items earn you Plinko tiles. The more tiles you have the more money you can earn. Once you have earned your tiles you drop them down the Plinko board for your chance at big money. If your win more than 10,000 dollars you unlock the Plinko game indefinitely and earn the option to play it whenever you want. After the initial bid and the pricing game, you earn a chance to spin the big wheel. The wheel has 20 spots on it ranging from 5 cents to 100 cents. The goal of the big wheel portion of the game is to be the contestant that spins closest to $1.00 without going over. You have 2 chances to spin the wheel, but can stop after your first attempt if you are satisfied with your results. In the big wheel you compete against 2 other competitors and the winner moves on to the prize packed showcase showdown. If you lose the big wheel spinoff you are given a strike and you return to the start of the game, bidding against three other contestants. The showcase showdown is the final portion of the game and is packed full of prizes. The showcases vary in awards, however both are highly valuable. The goal of this game is simple. Guess the value of your showcase. If you are closer than your competitor you win, if your difference is greater you lose. The object is very simple, yet provides a lot of fun. Apart from the entertaining premise, this game is great for several reasons. The main being the atmosphere it creates. The graphics and sounds make it feel as though you are actually competing on the Price is Right. Also, the video clips that show actual prizes and showcases add to the game's realism. You are able to see and hear actual parts of the game, which are incorporated very nicely. One major drawback of the game is the three strike system. You compete until you earn three strikes. This is a good idea, however, it is not executed perfectly. An example of this system as a drawback is with spinning the big wheel. If you are not the winner of the wheel spin you lose a strike. This is unfortunate because the results are primarily left to chance. You could lose the game purely by chance rather than skill or error. If the strikes were implemented during the pricing games rather than the wheel, the game would be more fun and the “punishment” for losing a strike would be a result of personal failure, rather than chance. 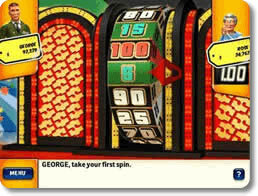 Overall, The Prices is Right is a game show computer game that will have you feeling like you are in a studio playing in front of a live studio audience rather than in your home at your computer. The accurate sounds, fun pricing games, and great graphics make for a surprisingly real game. Whether you are familiar with the show or not, you will likely find this game appealing. This game can be played by all ages and the multiplayer option makes it great for friends looking to challenge each other. This game's great qualities more than make up for the somewhat annoying “three strike” system. If you are a fan of the Price is Right or if you are looking for a fun game in the game show category, this one is for you. 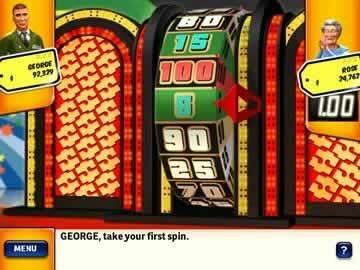 Watch gameplay footage featuring a variety of games which you can play from one of America's greatest game shows. Try out everything from playing Hole in One, spinning the wheel, or participating in the Showcase Showdown.